Hello, once again everyone! 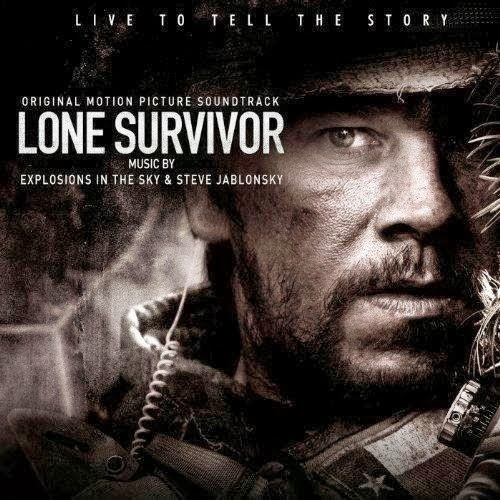 This time I'm back with a review to a highly anticipated score; Lone Survivor, by Explosions in the Sky and Steve Jablonsky. I saw the film this morning, and it was pretty damn good. Now, the score! I'm not going to waste anymore time with introductions, so lets get into it! Lone Survivor is, for the most part, a very atmospheric score. Certainly the first half at least. It's slightly reminiscent of Johan Johannsson's Prisoners score, and to be honest, that is certainly not a compliment! We do have a few pieces full of atmospheric music that do work, such as Seal Credo / Landing, which has a few catchy, decent riffs mixed in to the piece. As well as that, Waking Up, the second piece on the score, is also a fairly good piece. It sets up the tone and mood of the rest of the score quite effectively, so for that it earns close to top marks. For the most part though, the first half is quite irritating and doesn't do much good for my ears, unfortunately. The second half of this score, though, manages to pick up and culminate in a very good ending. The show starts at track 10 with Murphy's Ridge, my favourite piece on the score. It's full of powerful, intense action music, and after watching the film, it really has me thinking back to the emotional fights that took place. Not a bad thing at all. The show continues into 47 Down, another very good piece, which kept me thoroughly entertained for a good while. We drop off in quality for a little bit before returning to form in A Storm Is Coming. From there, we have the self titled Lone Survivor, my second favourite piece on the score. It's emotional and really brings a lump to your throat. The credits piece, Never, Never, Never Give Up is also quite heartbreaking, and earned top marks. All in all, the final half of this score was quite effective in both the emotional and action areas. Overall, Lone Survivor is quite a good score. I'd say pay most attention to the final part of this score, and you should have a good time. It certainly begs for repeat listens, and I've already come back to certain pieces more than a few times. I think it was a good move to get both Explosions in the Sky and Steve Jablonsky in to work on this score. Jablonsky knows how to work with Peter Berg, the director of the film, so it was not a bad move for him to enter the fray. Overall, I did enjoy this score, but it could have done with less atmospheric, ear piercing music.